The ADM Board believes in the value of investing in prevention, early intervention and health promotion across the lifespan in order to stop or reduce the impact of mental illness and/or addiction disorders. The County of Summit Alcohol, Drug Addiction and Mental Health Services Board has designated $100,000 for targeted prevention school mini grants. Drawing from the results of the Youth Risk Behavior Survey results for Summit County High School and Middle School students, the Board is requesting proposals from local schools to support resources and programming that promote the well-being of Summit County youth. Click here to read about our most recent targeted prevention school mini-grant awards. Learn more about our 2019-20 application process. All of us have biological, physiological and environmental characteristics that work to make us either more vulnerable to or immune from developing a mental health and/or substance use disorder. These characteristics are called risk and protective factors. The prevention efforts of the ADM Board and provider agencies focus on building awareness, reducing risk and reinforcing protective factors. Research has demonstrated that there are effective strategies to promote healthy development, enhance social and emotional well-being, and prevent and reduce a host of behavioral health problems. In addition to these benefits, effective prevention and wellness promotion programming can lead to financial benefits. 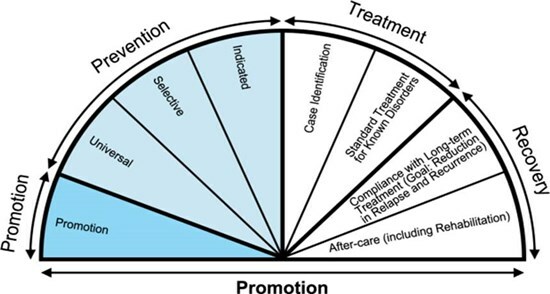 Researchers have monetized outcomes of programs as they relate to reduced crime, lowered substance abuse, increased school performance, lowered abuse and neglect charges, decreases in teen pregnancy, teen suicide, and domestic violence. The average net benefit per child is $6,000 for various home-based interventions designed to improve positive parenting practices and support healthy infant development. Evidence-based preschool programs to support healthy social development and cognition abilities generate a net savings of $10,000 per child. Programs for juvenile offenders that have goals mostly toward improving behavior can yield benefits of more than $10,000 per child.